Natural wood home accessories work for the holidays or throughout the year. The holidays are quickly approaching. If you’re adding to your natural wood home accessories this season, instead of purchasing decorations that can only be used a few weeks, why not look for items that can be enjoyed year round? Finding personal connections will make them even more special. I remember driving past fields of cotton on family trips to the beach — fields of “snow.” I live in the south, after all, where snow is hard to come by. 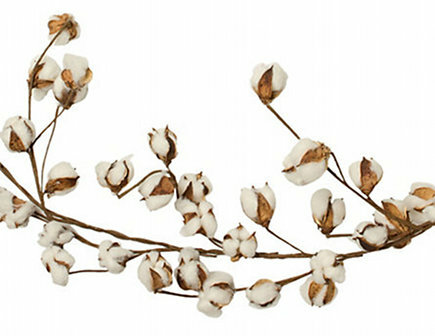 Then (the) Martha made 50 wreaths – one for each state and the Alabama wreath was made of cotton. The six-foot-long cotton garland could be twisted into a wreath (year round) or draped across the fireplace mantel or fashioned into garland for the tree. It would be the perfect addition to my vintage Christmas mantel. Last year I started searching for fallen birch branch candles too late in the season… as in a week before. We had a family home in Colorado and spent summers horseback riding through the Aspen trees. Even in July, their soft white bark made me dream of the winter snow. There’s no doubt my parents would be tickled to see them on the dining room table in December and I’ll enjoy them in the den during the rest of the year. 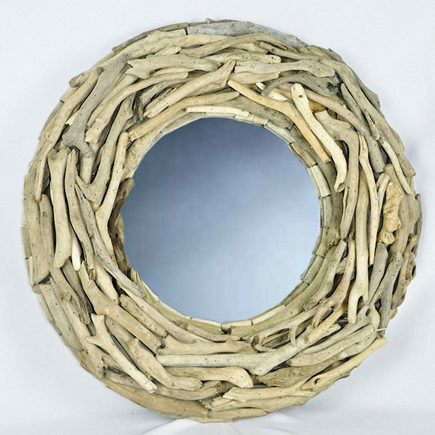 This driftwood mirror could easily be converted into a wreath by popping out the glass. The smooth texture and washed color of the wood is created by the sun, sea and sand. If only I had the foresight to collect driftwood while at the beach all those years I’d have a wreath twice this size. Keeping choices natural in both materials and color, combined with the textures, allow more options for year round enjoyment. Your storage closets will thank you! 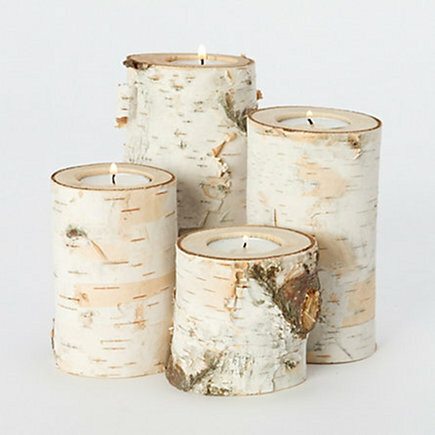 Do tell where you found those birch candles! I would love to put some out in our newly decorated FR this holiday season!